6 Myrtle Beach Vacation Rentals. Are you looking for that perfect vacation destination at the beach? Myrtle Beach, SC is the ideal place to spend your next retreat away from home. Vacation rentals by owner are the way to go with several condos, villas and rentals homes available, allowing you to save money. From the beaches, golf courses and amusement parks, everyone of all ages will enjoy the abundant of activities and entertainment. This rental boasts: 1 bedroom, 1 bath, is a Condo / Townhouse located Ocean Front! This rental boasts: 1 bedroom, 1 bath, is a Studio located Ocean Front! This rental boasts: 2 bedrooms, 2 baths, is a Condo / Townhouse located Beach Block! This rental boasts: 3 bedrooms, 1 bath, is a Condo located Ocean View! Myrtle Beach is home to over 100 golf course from intermediate to first class courses. Golf enthusiast will enjoy the amazing selection of courses that are available at Myrtle Beach, including 5 championship golf coures within a 10 mile stretch. As already mentioned, Myrtle Beach provides fun for all, regardless of age. Other activities that attract visitors daily include the amazing amusement parks, arcades, shops, historic tours, go-carts and lots of night time fun. The Boulevard along the ocean is where all the action is at night. There is fantastic dining, clubs for dancing and much more. Another thing many people do for fun at night is hunt crabs on the beach. Looking for some amazing fresh seafood? If you are you need to head on over to Murrell�s Inlet. This small town is approximately 12 miles to the south, providing more than 30 seafood restaurants to choose from. There is one place you cannot miss while visiting Myrtle Beach and that is Broadway at the Beach. This fantastic place features over 350 acres of amazing entertainment and a large shopping area. There is approximately 100 shops to browse, great country music, Ripley Aquariam, an Imax Theatre, several restaurants and you could even catch a minor league baseball game. 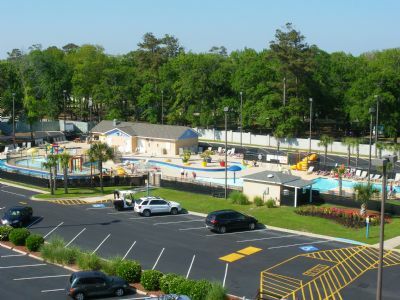 Now that you know all the amazing things to do in Myrtle Beach, your next step is to decide what type of lodging you would like. We here at ivacationonline.com work closely with owners of vacation rentals, so you can book your next vacation rental with ease. Our state of the artvacation rental software.available at ivacationonline allows you to find and book your next vacation within minutes, its that easy!! We hope you will enjoy your next Vacation in Myrtle Beach, you deserve it!! 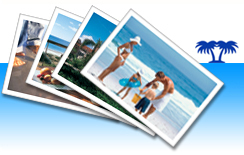 Check out otherSouth Carolina Vacation Rentalsat ivacationonline.com.